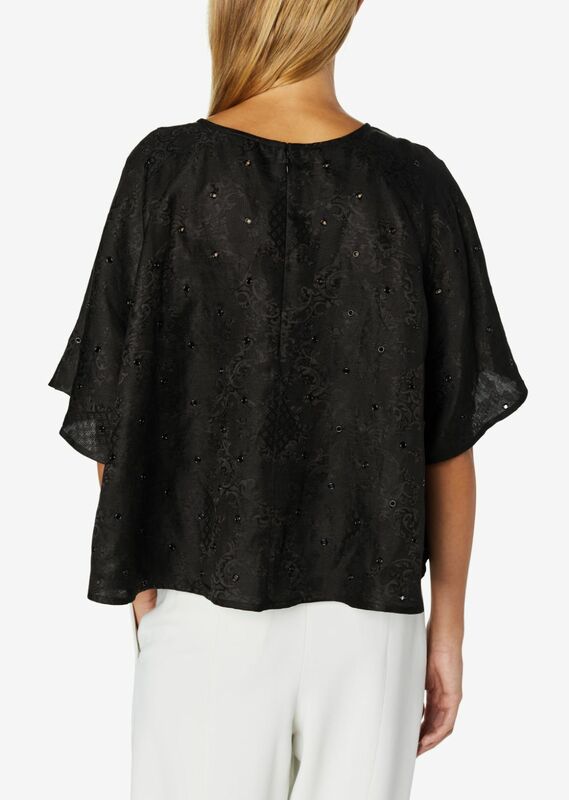 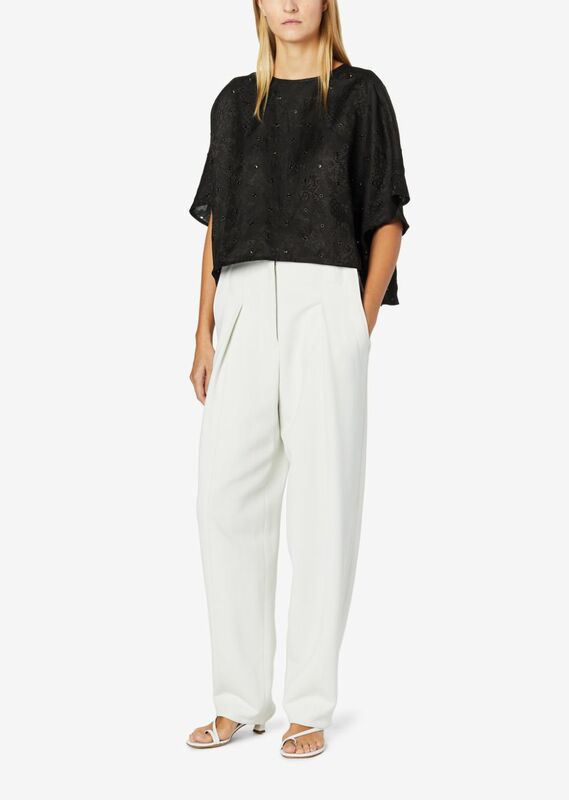 A graphic blouse in a silk-linen organza with a subtle floral jacquard surface. 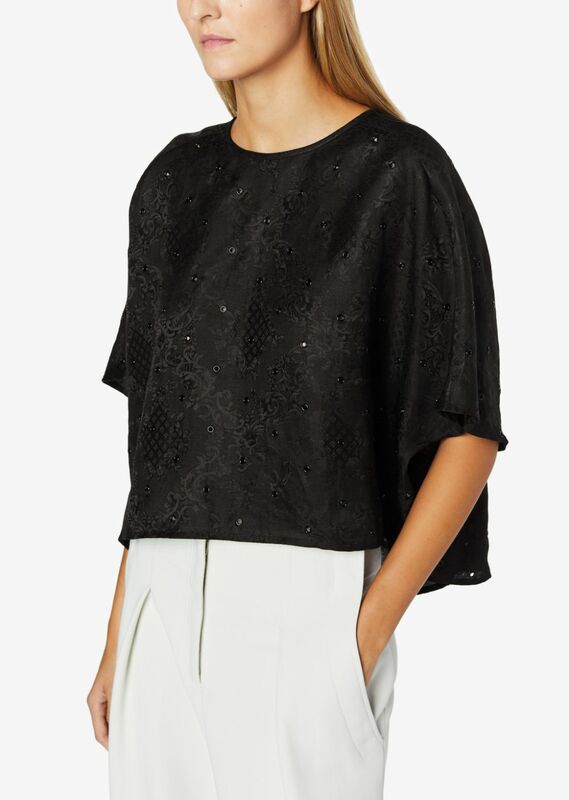 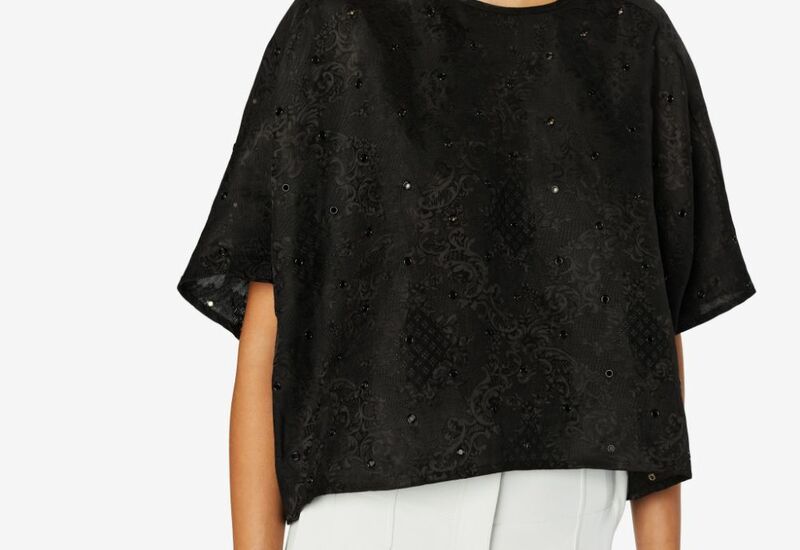 This dolman-sleeved top has an cropped hem with a slightly longer and fuller back. 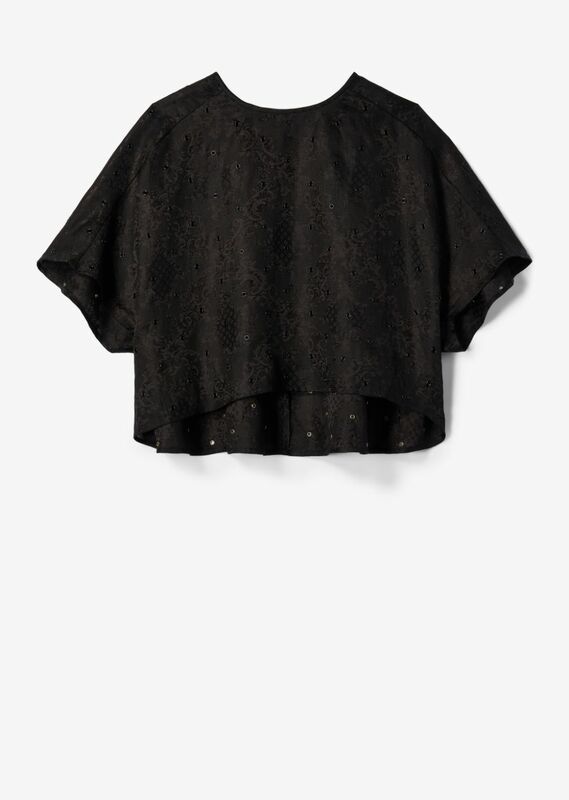 Small metal eyelets trace the crewneckline.